In the middle of last term, the English Department put on a trip to the Charles Dickens Museum for the Upper Fourths who are studying Great Expectations for their English GCSE. The idea was to give students the opportunity to develop their understanding of the author and to understand how Dickens integrated his own experiences into his novels. We were also given several examples of where Dickens appears to have been inspired by people in his own life, thus createing a similar character, or even from articles he has read from newspapers- which blossomed into the foundations of characters and their backstories. The two classes were separated first one does the tour whilst the other is wondering around the museum, and then we switched. Each was about an hour and a half. The tour began with us walking through the streets and stopping every so often however the more we walked the longer it took to reach each new destination. At each stop the tour guide would begin by telling us a story from Dickens’s life before referencing a book written by Dickens and then combining them through certain, carefully crafted links. 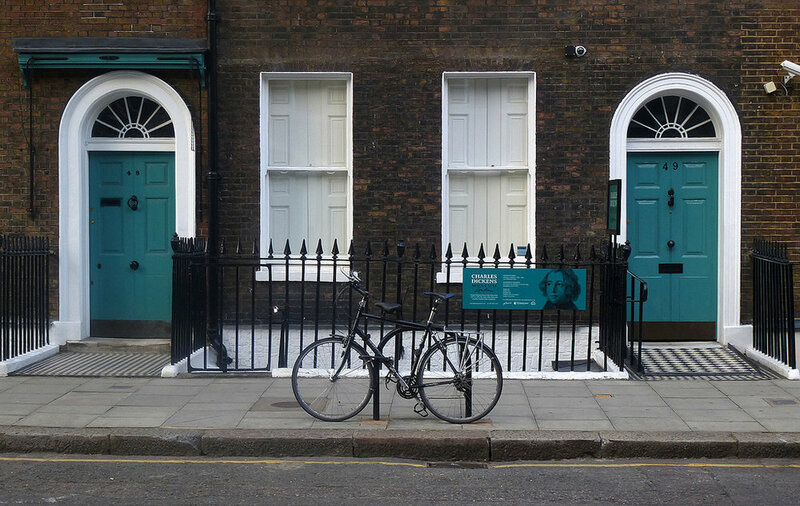 The tour was incredibly interesting and taught us a lot, not just about Dickens but about Dickens’s perspective (which explained his inquisitive, thought provoked ideas about class and society constantly referenced in his books). We circled around the area and returned back to the museum where we had lunch in a field before continuing on with the trip and entering the museum. In the museum the class was split into two other groups where one group first enjoyed a workshop whilst the other half of the class walked around the museum whilst completing a ‘treasure hunt’ for certain clues (before switching). In the workshop we looked at several objects from the past as well as articles and stories and we were told about different areas in Dickens’s life as well as in general what was going on in society at the time. We investigated a box full of possessions a young girl would hoard until the day of her marriage, a time line of Dickens’s life with his wife, and an assortment of articles which could be the potential base for the very complex character of Miss Havisham. We also looked through a section of Dickens’s original work and attempted to figure out of which book it was. During the tour we freely walked around the house and enjoyed the view. A personal favourite was the ‘snake ring’ found in one of the several bedrooms, which had been a gift from Dickens’s wife to her sister after Dickens left his wife and her sister started looking after him (apparently only as a ‘maid’ but the accuracy of this is still debated). Overall the trip was highly informative and taught the two classes a lot about Dickens and his life, as well as the time Dickens lived in. This information was especially valued in the English tests that followed suit.